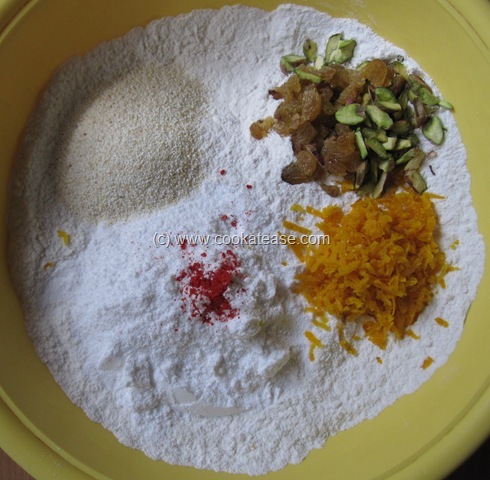 Sieve all purpose flour, salt, baking soda, baking powder in a bowl; add chopped pistachio, raisins, orange zest, powdered sugar, saffron colour, semolina and mix well. 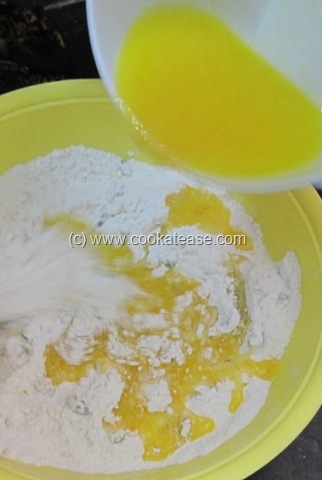 Bring the butter to room temperature; add warm water, orange juice and beat well; add with the flour and mix well; the cake mix is now ready. 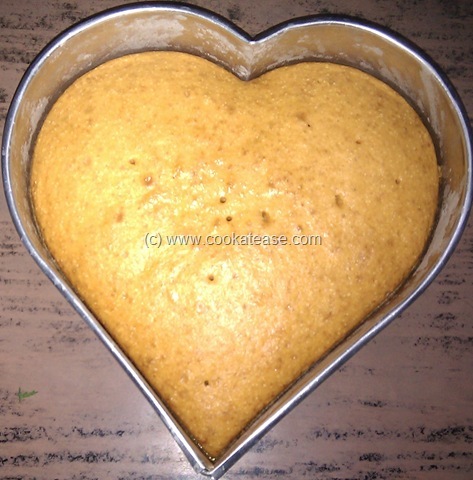 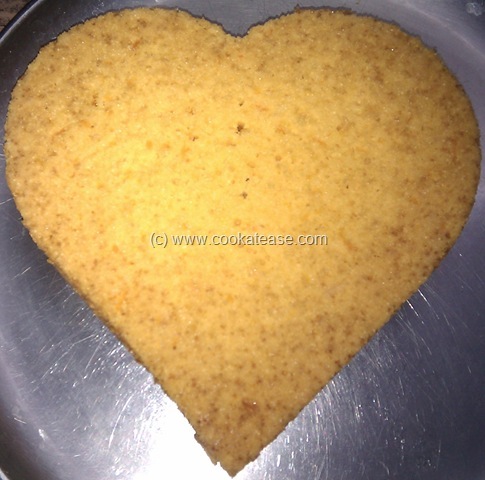 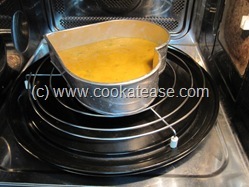 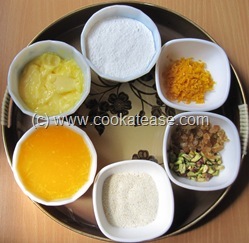 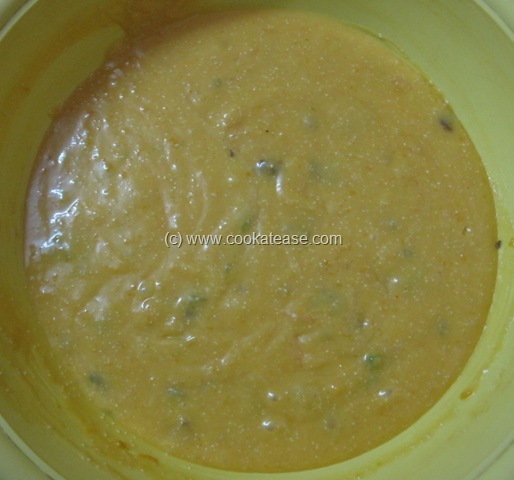 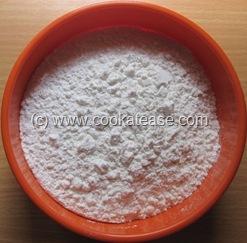 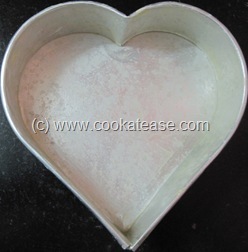 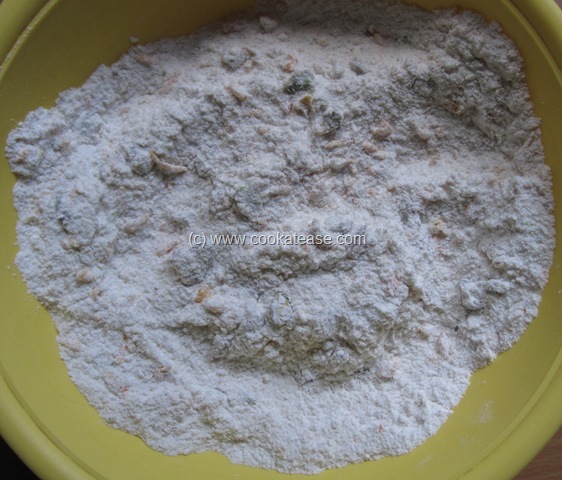 Grease a baking mold, dust with flour; pour cake mix and ensure that it spreads evenly. 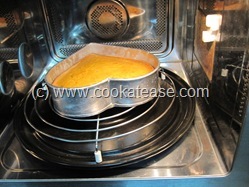 Bake it at 180 degree Celsius for 30 to 40 minutes or till a tooth pick comes out clean when you check. Now Eggless Orange Raisin and Pistachio Cake is ready. 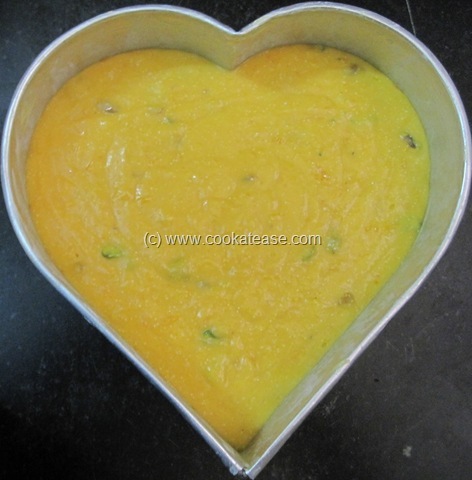 Allow it to cool and cut into pieces. 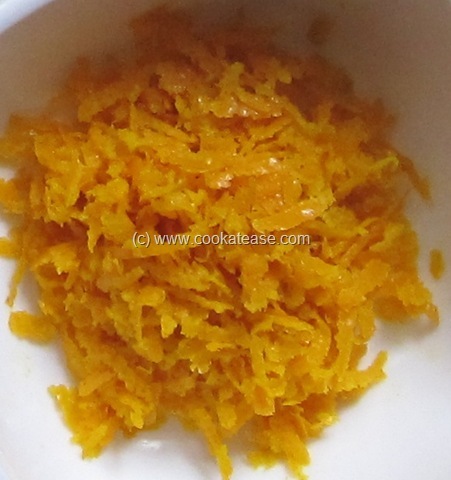 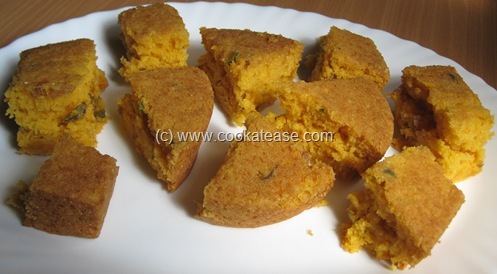 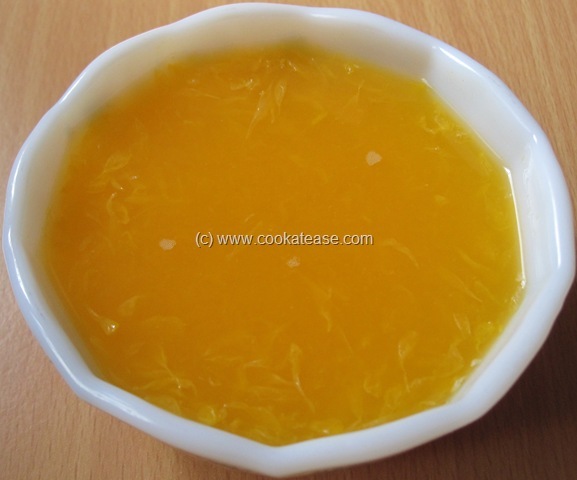 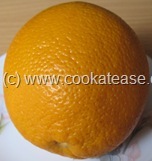 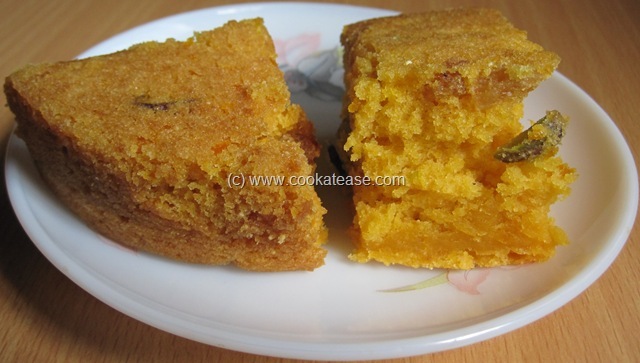 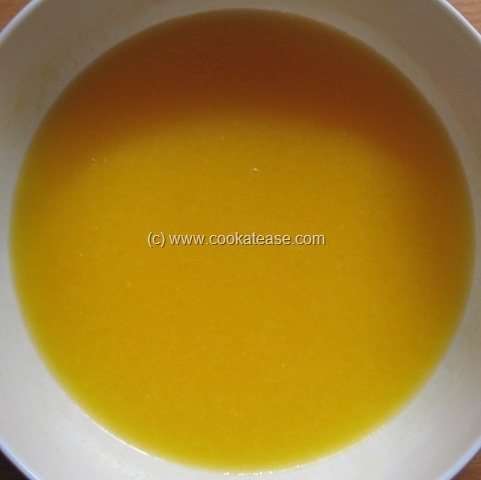 Serve this simple orange flavored cake. 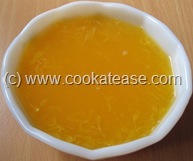 This cake is likely to be more moist and soft as fresh orange juice and orange zest is used.